The Hatford sits on the most private part of Bow Farm and this fabulous home enjoys a generous corner plot. The lounge has bi-fold doors opening to the garden and the kitchen/dining/family room is an ideal space for the whole family to gather. A utility, study and cloakroom complete the ground floor picture. To the first floor are two ensuite bedrooms, two further good size bedrooms and the family bathroom. 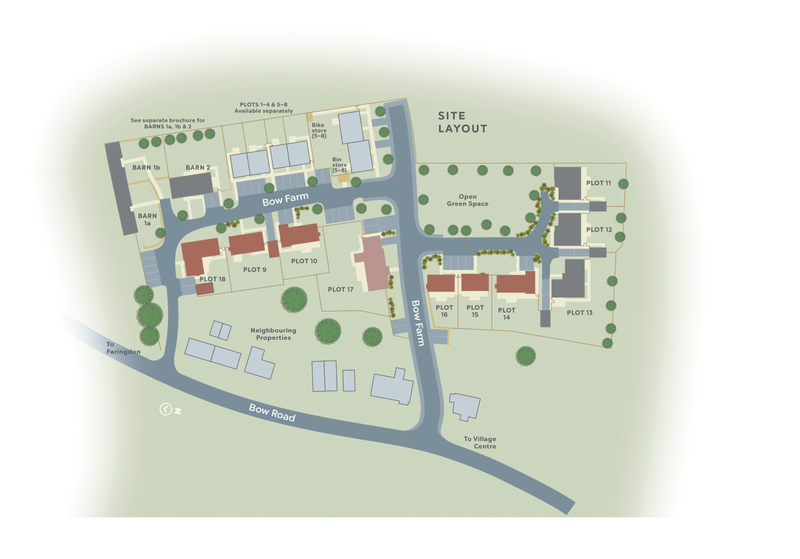 To register your interest in The Hatford, Plot 13 and/or to arrange a viewing, click the button below and fill out the form. 4745mm x 3740mm 15'7" x 12'3"
9050mm x 5590mm 29'8" x 18'4"
3390mm x 1640mm 11'1" x 5'5"
3245mm x 2330mm 10'8" x 7'8"
4255mm x 3935mm 14'0" x 12'11"
4235mm x 3605mm 13'11" x 11'10"
4795mm x 3235mm 15'9" x 10'7"
3755mm x 2895mm 12'4" x 9'6"
3235mm x 2205mm 10'7" x 7'3"
3935mm x 1255mm 12'11" x 4'1"
4235mm x 1265mm 13'11" x 4'2"
The Hatford, Plot 13 is part of the Bow Farm development. For more information click the button below.